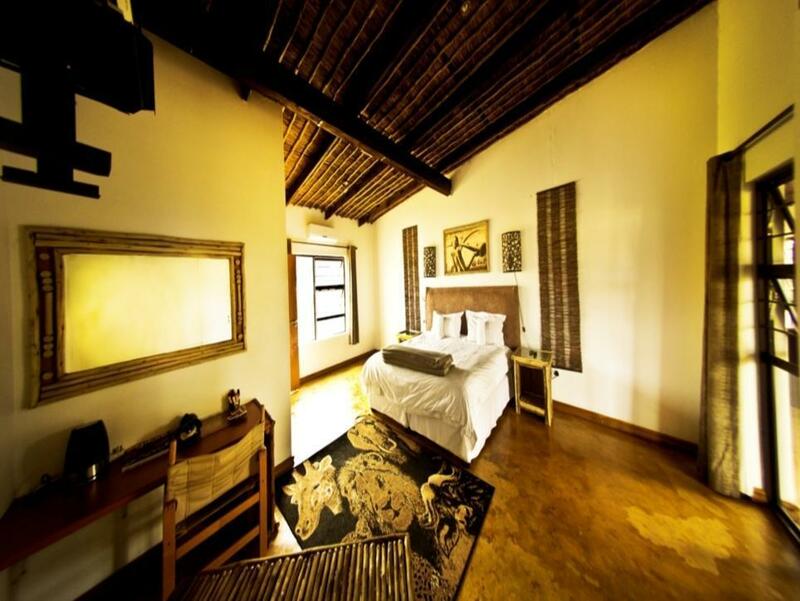 ﻿ MoAfrika lodge Johannesburg. JIMAT di Agoda.com! Ada soalan mengenai MoAfrika lodge? Dibina pada 2006, MoAfrika lodge merupakan tambahan menarik di Johannesburg dan satu pilihan bijak bagi para pelawat. Dengan lokasi hanya 12.0 km dari pusat bandar dan 15.0 km dari lapangan terbang, hotel 4-bintang ini menarik banyak pelancong pada setiap tahun. 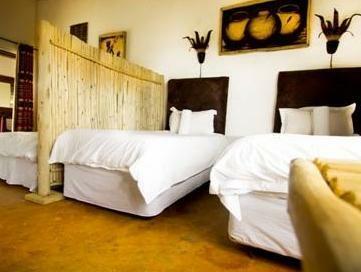 Hotel moden ini berada di sekitar kawasan tarikan bandar yang popular seperti The Lazy Grape Guest Lodge & Health Spa, Amara day spa, Northmead Square. MoAfrika lodge juga menawarkan banyak kemudahan untuk memperkayakan penginapan anda di Johannesburg. Untuk keselesaan dan kemudahan tetamu, hotel ini menawarkan Wi-Fi percuma semua bilik, simpanan bagasi, Wi-Fi di tempat awam, tempat letak kereta, pengangkutan lapangan terbang. Alami bilik dengan kemudahan berkualiti tinggi sepanjang anda menginap di sini. Sebahagian bilik menyediakan linen, internet wayarles, internet wayarles (percuma), bilik larangan merokok, penyaman udara untuk memudahkan tetamu berehat dan kembali bertenaga. Hotel ini menyediakan kemudahan rekreasi yang baik seperti kolam renang terbuka, taman permainan kanak-kanak, taman untuk membuat penginapan anda benar-benar tidak dapat dilupakan. Nikmati perkhidmatan yang sukar ditandingi dan lokasi benar-benar berprestij di MoAfrika lodge. Harap maklum semua kadar telah termasuk khidmat menjemput dari lapangan terbang secara percuma. Good location, about 10 mins or so drive from the airport, and one free transfer they offer is great. Comfortable bed and nice hot breakfast, the owner Joe got great charisma and do everything to make his guest feel like home. Recommended. Rooms were big and confortable. Nice pool and sitting area. Too far away from the town, but near airport and airport transfer included. Not impressed at all. Their dog had puppies, they left them out in terrible weather with no protection. I did my best to help them and the mum in the night but in the morning one had died. They did not have a care in the world for these puppies which ruined my stay and i would never go back there. Anything else about this place means nothing if they are happy to let that happen. Thankfully the SPCA are now monitoring them. I do not recommend them. This place was awesome! Who'd have thought you could feel like you were deep in Africa when staying so close to the city. The receptionist was not friendly at all.The Road to enter gate is very bad.Breakfast was late.No proper parking bay.Dogs roaming around. Bathroom door was falling off hinges. My stay in Moafrika Lodge was one of the most pleasant stays I've had. 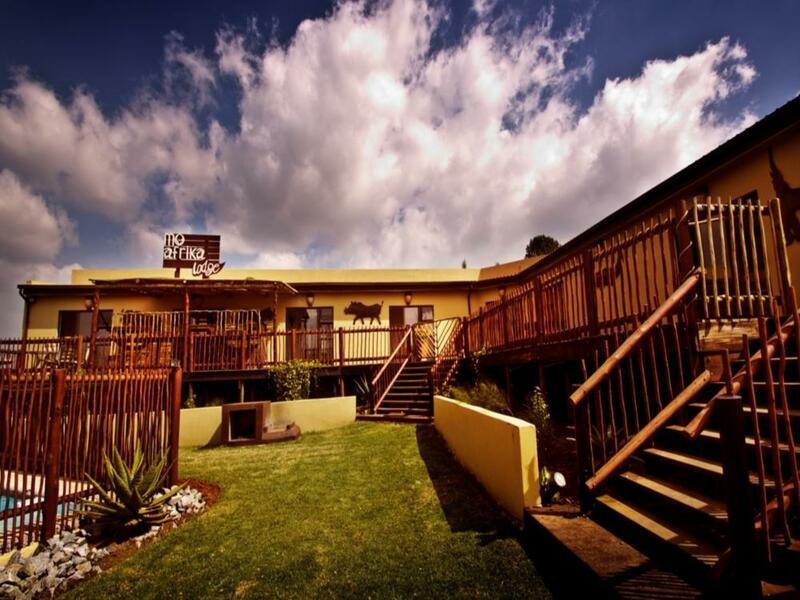 The staff were very friendly and helpful, and the rooms were well kept and very clean. The only downside is that the Lodge is pretty far away from everything. 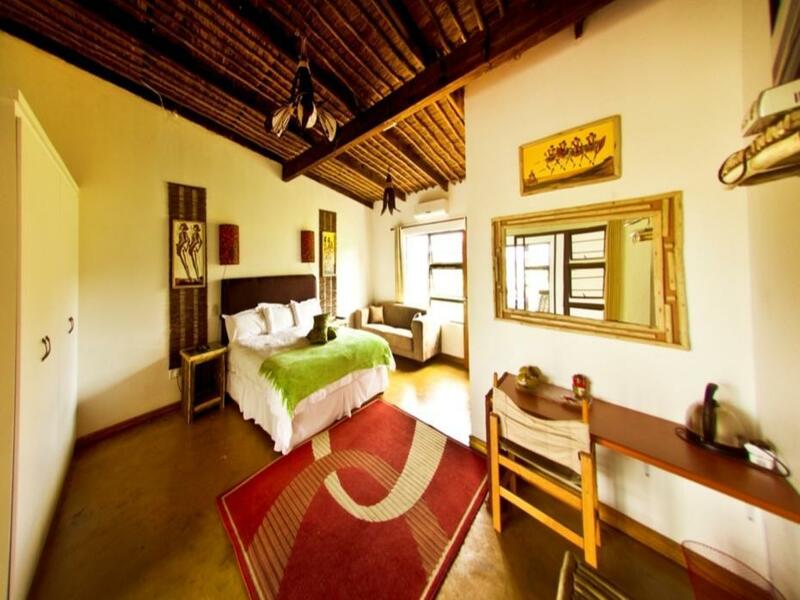 But if you're looking for a quiet getaway to the countryside, or a cheap layover before you fly out of OR Tambo, Moafrika Lodge would be a great option! The room key couldn't be found. The wifi in the room didn't work, the tv was stuck on one channel. We are hen had to move because they were over booked. Communal area, transfers to airport and breakfast. Wifi was constantly down which was frustrating. Other than that all was fine. excellent. really enjoyed our stay there. Front desk staff was especially helpful and friendly. Very chill atmosphere. A quiet 2 days after a hectic safari trip from Livingstone Zambia. we stayed there the night before an early flight. luckily they served dinner because there are no restaurants, shops, groceries within walking distance. this place is located in a residential area. We only stayed for 1 night, that was enough. Staff not very helpfull. The doggs were walking around, thats ok but they come and lik you. Not everybody likes that. If you stay only for 1 night its oke! Breakfast was poor. Airport shuttle service. Friendly staff who try. Accomodation at a good price. The staff was not there to pick me up at airport.